Angel Figure 7", Resin and stone mix, embellished with beads. Message: Finding peace within one's self is knowing that life is beautiful because you are you. This angel can be given to someone who needs self confidence and their inner beauty to shine through. 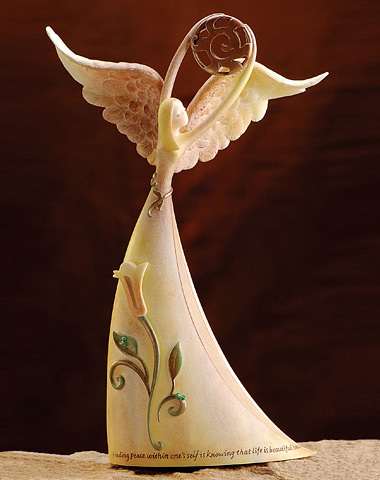 This angel holds the sun that shines within our hearts providing inner confidence and strength. The flower that adorns her skirt represents your inner beauty and how we grow within.